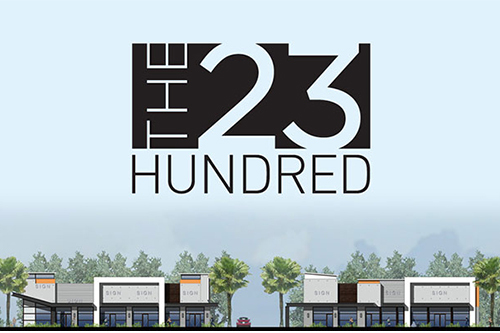 Developer Rosemurgy Properties project 23Hundred project is underway. The two-building, 13,485 square foot retail center is at 2350 and 2390 North Federal Highway, Pompano Beach, FL, adjacent to the pink church, just across from Offerdahl’s at the Beacon Light plaza in Lighthouse Point. Chipotle, Jersey Mike’s Subs, Pei Wei and Smoothie King have already signed leases. The new development will include additional retail and restaurant tenants. Leasing services provided by Schmier & Feurring Realty, Inc., Boca Raton. Rosemurgy Properties General Contracting division is managing the construction of the project which was designed by RLC Architects, Boca Raton. 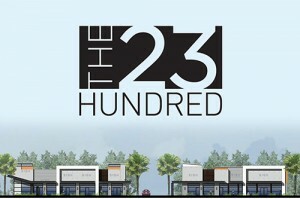 The 23Hundred is slated for completion in early 2015. For leasing information, please call 561.488.9100.